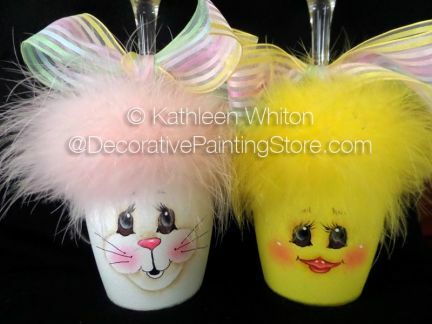 Cute bunny and chick painted on wine glasses and transformed into votive candle holders. This pattern is adorable, I am currently working on a set right now and can't wait to get them finished. Thanks for the great fast service! I will return for more patterns in the future!